Garmin is happy to announce the latest expansion to its RV-dedicated navigator series with the introduction of the new RV 770 LMT-S model. Built specifically for camping enthusiasts, the RV 770 LMT-S offers advanced RV-specific navigation solutions, including free live services with real-time traffic updates, basic weather information and more. 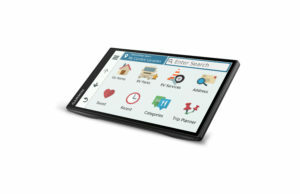 The new navigator offers a bright edge-to-edge 6.95-inch display that is effortless to view any time of day. Additionally, this versatile RV navigator is preloaded with TripAdvisor data so drivers can see ratings for popular travel points of interest, such as hotels, restaurants and attractions. Connectivity plays an essential role in the refined feature set of the RV 770 LMT-S with the useful LiveTrack functionality, a feature that allows drivers to share their locations with friends or loved ones to track their spot along a journey. 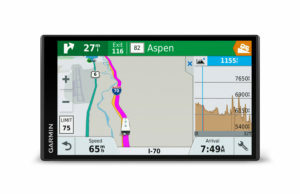 Thanks to its built-in Wi-Fi, drivers can download map and software updates with the RV 770 LMT-S to ensure they have the most up-to-date information, even while traveling away from home. 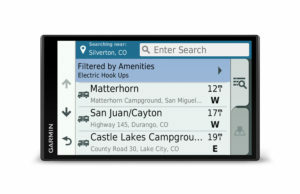 This RV-specific navigator also aims to keep drivers informed with trip planner settings that can suggest attractions along a route to add entertainment value during a road trip. Recreational vehicle drivers require a dedicated RV navigator with purpose-built features to simplify their travels. With the RV 770 LMT-S, drivers can benefit from essential customized routing based on the size and weight of the RV or towable trailer. The new RV 770 LMT-S boasts a comprehensive directory of RV parks and services that allow RVers to easily find campgrounds and service locations, which can be filtered based on preferred amenities like onsite water, internet access and electric hookups. Campers will also be guided with helpful RV-specific driver alerts for upcoming steep grades, bridge heights, weight limits and more. Users will receive alerts for sharp curves along a route, as well as fatigue warnings that activate after longer periods of consecutive driving without any long stops along the route. The fatigue prompt asks drivers if they are in need of a break and suggests places nearby, such as restaurants and rest areas. 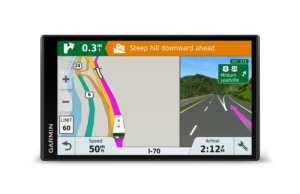 RV users can even alter their routes to include preferred roads or cities by touching the screen with the Easy Route Shaping option. In order to encourage safer driving, the RV 770 LMT-S offers convenient, hands-free navigation features to allow drivers to keep their hands on the wheel. Voice-activated navigation lets drivers control the navigator by speaking commands to the device. What’s more, users can wirelessly pair their navigator to a smartphone to make and receive hands-free calls via Bluetooth® and obtain valuable smart notifications as well. Any text messages, app alerts, and other relevant notifications from a compatible smartphone will seamlessly appear alongside the map screen. The RV 770 LMT-S is compatible with the Garmin BC 30 Wireless Backup Camera (sold separately) that lets drivers easily view the area directly behind the RV or trailer while in reverse. 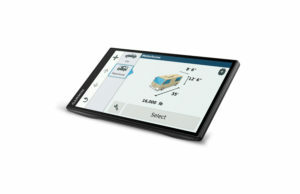 Additionally, the navigator works with any Connect IQ compatible Garmin smartwatch, such as the new f?nix5 (sold separately), providing driver alerts directly to the watch as well as compass guidance from a parked RV to a destination, and back to the RV again. The Garmin RV 770 LMT-S is expected to be available February 2017 with a suggested retail price of $399.99 and will be available through a variety of retailers including Camping World, the nation’s number one retailer of RVs, RV accessories and RV-related services. 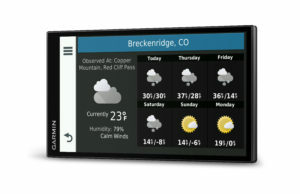 For more information, visit www.garmin.com. The post The new RV 770 LMT-S for camping enthusiasts appeared first on Garmin Blog.